Drilling 6 boreholes next to clinics maintained by MSH, providing water to the nearby community. 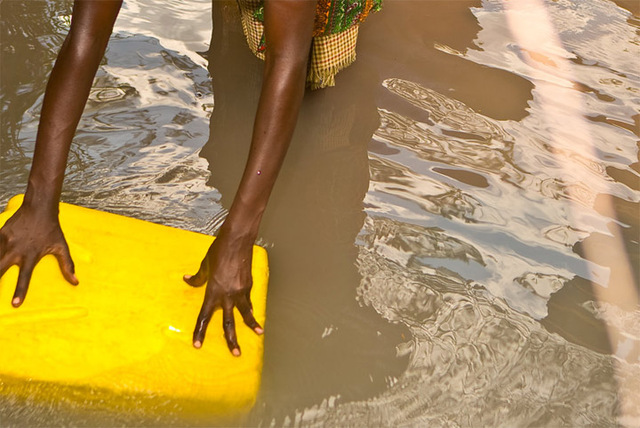 H20+ unifies health, water, sanitation, and education activities at the community level for a maximum technical synergy and cost-effectiveness. H20+ aims to bring sustainable safe drinking water to poor communities in southeastern Uganda to improve community health and encourage the enrollment of girls in schools. 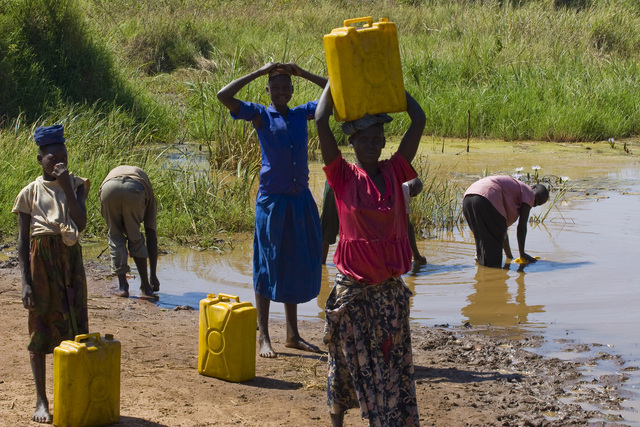 Of Uganda’s total population of 30 million people, approximately 35% are without access to clean water. More than 400 health clinics in the target project region are extremely restricted due to lack of clean water points. 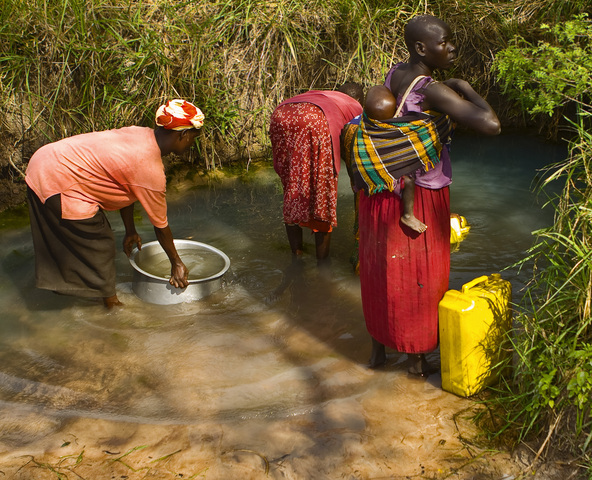 Women and girls must walk long distances to existing unclean water sources, causing high numbers of child/infant death and low rates of girls’ enrollment in school. The Palissa District has a population of 400,000 people. It is estimated that 55% of the population is under 18 years old and 19% of the population is under 5 years old. Life expectancy is 47-54 years (depending on year of birth). About 2000 children will get clean water, of which approximately 800 are under the age of 5. Hygiene and Sanitation for the Palissa District, which has a population of 400,000 people. It is estimated that 55% of the population is under 18 years old and 19% of the population is under 5 years old. Life expectancy is 47-54 years (depending on year of birth). H20+ seeks to create water points in health clinics and surrounding villages – maximizing the impact of those points through a fully integrated program, which includes promoting community responsibility for their upkeep, comprehensive hygiene training, community-led total sanitation, and follow-up monitoring and evaluation. By integrating these services and procuring carbon finance, H20+ expects to serve more beneficiaries for each funding dollar and to accelerate access to health, education and economic opportunities. team, ILF will construct six deep boreholes (e.g., at least 30 meters in depth) in the vicinity of MSH-supported health clinics and surrounding villages. ILF will be responsible for all components of borehole production – i.e., drilling, casting and installation – as well as testing for contaminants at each site. As MSH has a presence in each of the targeted communities, MSH will take primary responsibility for conducting baseline surveys and gathering all information relevant to clean water and sanitation activities, including population density, distance to closest water sources, latrine coverage and assessment of community’s capacities. This will enable ILF and sanitation partners to focus on implementation, lowering costs and improving community leadership of activities. road-clearing assistance to the ILF drilling team during the borehole production phase. responsibility for operations and maintenance, including establishing and training local water user committees and setting up of a water usage fee system. Hygiene and Sanitation: In each of the communities served by an ILF produced borehole, MSH will take responsibility for: (1) setting up/training Village Hygiene and Sanitation Teams (“VHSTs”) on proper hygiene practices such as hand washing, safe water transport/storage and point-of-use water treatment; and (2) monitoring the performance of those teams in regard to education of community members on those practices. Working together with local officials and health system experts, MSH will also work to gain commitments for CLTS. H20+ will partner with local non-profit organizations to implement CLTS, including local affiliates of Lutheran World Foundation and Plan International as well as NETWAS -Uganda. The CLTS approach is an important component of H2O+, as it will help H20+ identify leaders across the targeted districts and increase community support for all aspects of the project. MSH will also oversee on-the-ground M&E, which will include periodic on-site visits, data collection/evaluation, and training staff to use SMS tracking tools to collect and transfer data to BPN’s knowledge-sharing platform. Monitors will report on indicators such as water usage/flow rates, borehole conditions, latrine coverage, hand-washing facilities/practices, clinic visits and school attendance. This project is a single phase project but a pilot for a much broader project which, if funded, would cover 225,000 people. Residents in each village will be selected based on their community standing and experience. They will be trained in all aspects of water system maintenance and repair, as well as how to conduct community hygiene education and establishment of a household-based, ongoing financing program. ILF staff in Uganda will be available should water system repairs be more complex than the community can handle. MSH staff already supporting health clinics in the target communities will ensure the clinic staff is trained to continually improve health impact. BPN’s online system will be used to report ongoing project status. The cost for each borehole is about, using ILF’s own in-house drilling rig is around $5000-$6000. All costs are calculated in USD. This project went significantly over budget as a result of unanticipated implementation challenges that extended the project timeline and escalated costs. These challenges related largely to ILF’s attempt to implement Phase One of this project in a new region with which ILF was unfamiliar and which was situated 210 km and a 6 hour drive from its base of operations. ILF adjusted its operations to be effective in this new district including changing its work schedule, the program manager moved to be based in the field, and logistical responsibilities were shifted to the program staff that resulted in increased operational cost as more per diem and overtime were paid (in accordance with ILF policies). Additionally, the district water office of Pallisa District required a different hand pump model (U3M), which was more expensive than the traditional hand pump ILF installs. The project manager was needed onsite to coordinate with two key stakeholders, MSH and the district water office, along with providing technical and operational oversight. Additionally, ILF had selected a partner to conduct the hygiene and sanitation survey and training that was local to Pallisa, and budgeted for these activities accordingly. However, the partner did not implement the activities as agreed, and therefore ILF did so from a farther distance – thereby incurring significant additional costs. Further, as turned out, the hydrogeologic condition of the chosen district posed technical challenges that ILF staff has not previously encountered in the Lango Sub Region and, hence, had not developed proficiency in addressing, which resulted in more days of siting and difficulty in drilling. The difficulty of drilling can be attributed both to the lack of more powerful equipment and encountering new drilling conditions. The increased time siting, drilling and the several low yielding boreholes all contributed to lengthening the project, which resulted in going over budget for staff time and accommodation. Other unanticipated challenges included difficulties in identifying appropriate drilling locations in close enough proximity to health clinics and high maintenance needed to manage the relationship with the district water office. Four of the six initial health clinics identified had to be replaced as they did not meet requirements for an adequate water source that resulted in some duplicate work (e.g. baseline surveys). 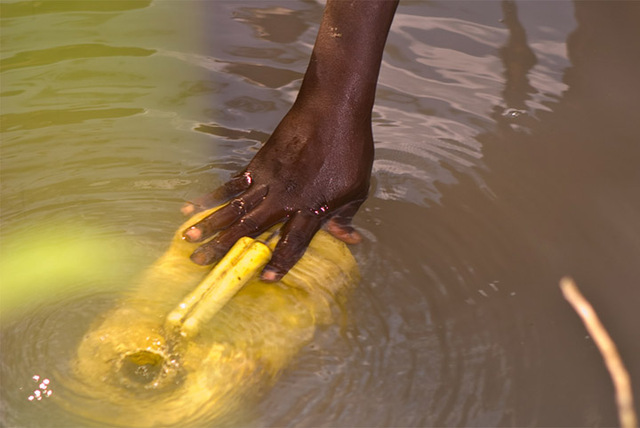 Further, building trust with the Pallisa District Water Office was a time consuming activity that required constant attention by the program manager, significantly increasing his time in the field. Because of this experience ILF has made several changes to its WASH operations. New equipment has been purchased including down the hole hammer with bits, drag bits and reamers, new vehicles, and a new air compressor for the drilling rig at a cost of over 80,000 USD. We have seen an improvement in our drilling speed with the new hammer and bits. Additionally, Phase Two of this project was shifted to a district much closer to the ILF office and we sought out a district water office that ILF has a pre-existing relationship with and that is professional and accommodating. ILF is currently assessing its field costs including accommodation and working schedule to further reduce implementation costs. I have a lot of the similar questions mentioned above but was particularly interested in trying to get a better sense of the possible costs to communities and their involvement in this process. It was mentioned that there would be a water usage fee system. Can you elaborate more on that, i.e. what does that look like and is it affordable for local residents? As mentioned above a user fee will be charged to beneficiaries, and this fee will be placed in a maintenance fund. The contribution will vary from location to location depending on the results of the needs assessment on water use. The water use needs assessment will look at what is feasible and appropriate for community members to contribute and ranges from approximately 500-1000 Ugandan Shillings per household per month (10-50 US cents) making it affordable for local residents. -Who pays for the clinics? -Who will “own” the finished wells? -Who pays for replacement parts? How are they obtained? -How will the project be sustained long-term? -How has the community contributed to the planning/implementation process? -Does ILF have a plan for environmental impact assessment? -[From the ILF website] Some examples of having “profoundly improving the lives” of the beneficiaries? What evidence substantiates this? -How does this project fall in with ILF’s overall focus on refugees? -Needs a broken down budget—if ILF owns the rig, what are the other costs? MSH will oversee on-the-ground M&E, which will include periodic on-site visits, data collection/evaluation, and training staff to use BPN’s text-messaging tracking tools to collect and transfer data. Monitors will report on indicators such as water usage/flow rates, borehole conditions, latrine coverage, hand-washing facilities/practices, clinic visits and school attendance. This data will be transferred to BPN’s on-line knowledge management platform, which BPN will customize to support H20+’s requirements and which will enable viewing across BPN’s 90+ member global network. Through that platform, H20+ partners will receive timely feedback and impact analysis, thereby enhancing program performance and visibility. Clinics are already in existence and supported by MSH. H2O+ will target 23 districts in which MSH has established and supported health clinics under US-AID’s STRIDES and STAR-E programs. Communities will have ownership over the finished well. There are hand pump mechanics that are available at sub-county level and are called upon to repair boreholes when they breakdown. Currently a hand pump mechanics association exists in Lira where ILF is mainly based and ILF has contributed repair tool kits to this association. All pump parts are available at district level (town centers) and minor parts available even at sub-county levels. As mentioned above, a user fee will be charged to beneficiaries, and this fee will be placed in a maintenance fund. The contribution will vary from location to location depending on the results of the needs assessment on water use. The water use needs assessment will look at what is feasible and appropriate for community members to contribute and ranges from approximately 500-1000 Ugandan Shillings per household per month (10-50 US cents) making it affordable for local residents. Also, as mentioned above: Impact Carbon estimates that each borehole will yield H20+ approximately $500 in credits per year or about $3.35 per credit. These credits will maximize the impact of the project’s water points over the medium term and should go a long way to ensuring their sustainability over the long term.The revenue stream they generate will give the communities all of the resources they will need to properly maintain their water points and more. Further, the amount of carbon-generated revenues that H20+ will be able to return to those communities will be directly related to the longevity and condition of their water points – creating a compelling financial incentive to properly use and maintain them. ILF’s community approach is grounded in consultation with key community stakeholders before the start of any new project. At the district level, the district water officer alerts ILF as to which sub counties are most in need of ILF’s WASH program according to the district development plan. At the sub county level, ILF consults the Senior Assistant Secretary who heads the technical planning committee; the body that identifies which sub county priorities should be incorporated into the sub county development plan. Finally, at the local level, the Water user Committees (WuC) and Village Health and Sanitation Teams (VHST) are established in conjunction with the Local Council 1 (being the village-level government representative) in an effort to best represent the local community interest. The WUC and VHST are charged with the responsibilities of overseeing the operation, maintenance and sustainability of the boreholes and sanitation facilities in their respective villages. In addition, the LC1 and WUC are responsible for ensuring that their community also provides land and labor for fencing, clearing borehole sites, and moving stones and sand for borehole construction. During the construction and installation process, the community also provides security to the drilling team, offering one or two small huts as shelter for sleeping, protection for vehicles at night and security information to drillers when necessary. The head of our WASH program in Uganda is an engineer. In addition we have just engaged a US trained hydro geologist to conduct the geological needs assessment. The information gathered during their assessments will potentially feed into an environmental impact assessment. Since becoming operational in early 2006, ILF’s energy program has provided 90,000 fuel-efficient stoves to impoverished and/or displaced persons in Sub-Saharan Africa and Haiti. Over the same period, ILF had produced boreholes and provided associated hygiene/sanitation training for 208 communities and approximately 150,000 beneficiaries. As ILF owns its own drilling equipment and employs its own in-house drilling team, it is able to construct deep boreholes at a cost of about $4,500 to $7,000 each (depending on depth, geology and travel distance) – or about one-half to one-third the amount charged by its competitors for the same service. ILF’s focus is not strictly on refugees but on vulnerable communities. Part of our focus is trying to create and implement interventions that will provide long term impact for the community and the environment. For this project we have a preliminary budget which breaks down the cost by intervention type- i.e. projected borehole cost is $5500 per site, CLTS cost -estimated to be $7 per person, approximately $3500 per site. Cost projections are extrapolated from detailed budgets for the borehole and sanitation component for similar projects. After we complete a more comprehensive geological survey ILF will be able to even more accurately project component parts of the budget. Can you clarify, what is MSH? Also, can you tell us how you will acquire carbon finance? When you conduct the CLTS campaign, what is your next step? Will you create another project to raise funds for building toilets? How will you fund it? Gemma, thank you for your questions. Founded in 1971, MSH is a nonprofit international health organization with a presence in 73 nations and a mission to save lives and improve health of the world’s poorest and most vulnerable people by closing the gap between knowledge and action in public health. MSH works in dozens of districts throughout Eastern and Central Uganda, supporting (1) facility- and community-based reproductive health and child survival services, (2) HIV prevention, care, and treatment activities, (3) pharmaceutical management at central and district levels, and (4) national, multi-sectoral supply chain management of HIV medicines and commodities. MSH has implemented WASH-related advocacy activities, including community mobilization, hygiene and health education, behavior change communication, safe water transport, storage and water handling, and point-of-use water treatment. MSH is a long-standing US-AID partner around the world. Impact Carbon is confident that it will be able to secure carbon credits for ILF’s water points under that the theory that they eliminate the need to boil water and, thereby, reduce the demand or anticipated future (i.e., “suppressed”) demand for biomass (e.g., wood and charcoal). These credits will maximize the impact of the project’s water points over the medium term and should go a long way to ensuring their sustainability over the long term. The revenue stream they generate will give the communities all of the resources they will need to properly maintain their water points and more. In addition carbon credits have already been obtained through Manna Energy and Vestigaard (water straw). Each site would generate approximately $500 in carbon credits per year. We don’t really understand this question but we do intend to closely monitor the results of the project. CLTS will be implemented through local partners, such as Uganda affiliates of Plan International and Netwas under the supervision of MSH. MSH would then be responsible for follow up monitoring which would make use of the BPN network sharing platform. We will not be raising funds for another project to build toilets. Under CLTS the community establishes their own waste disposal system. What type of pumps will you be installing on these boreholes. Also, as ILF will be doing the drilling, will ILF also be conducting the needed geological survey and Who will cover these costs? We work in East Africa (Uganda) as well and we focus on water access issues. Where is the $15,000 not allocated in the budget coming from? If 6 boreholes are being drilled and they cost $5-6,000 each= is that what the $35,000 is for? Have you had an engineer out yet to the locations? Did the communities approach you? Are you based in Uganda? What is the community contribution in dollars? It says you will seek community members out to be on committees-how, when and at what point in the new water source project process will this be done and when does your org typically do this in a project? If the locations have been picked, how were they picked within the district mentioned? Based on what needs or referrals? This is a single phase pilot of drilling and safe water chain education? What planning has been done so far- I did not see any additional documents, surveys, etc.? Of the $50,000 grant total, the estimated cost of the entire project, ILF will be involved in the drilling aspect. Based on previous projects of a similar nature, ILF anticipates the cost of drilling to be $35,000. The remaining $15, 000 will cover the other elements of the program. The head of our WASH program in Uganda is an engineer, and he has been to Palissa District. In addition we have just engaged a US trained hydro geologist to conduct the geological needs assessment. The specific locations within the district are yet to be determined. These locations will be selected in September once the need's assessment has been completed. Sites will include locations that would serve MSH supported health clinics and the surrounding villages. Factors the needs assessment will take into consideration are the proximity of MSH Clinics to clean water, surrounding populations and their access to clean water as well as community response. We were approached by MSH for this particular project. While our headquarters are based in Washington DC, we have field staff in Uganda, who will be integral in the implementation phase. A user fee will be charged to beneficiaries, and this fee will be placed in a maintenance fund. The contribution will vary from location to location depending on the results of the needs assessment on water use. The water use needs assessment will look at what is feasible and appropriate for community members to contribute and ranges from approximately 500-1000 Ugandan Shillings per household per month (10-50 US cents). In addition ILF will call on communities to contribute approximately $100 to the maintenance fund before the turnover of any water project. The Water user Committees (WuC) are formed when there is a new borehole or they are rejuvenated if it’s an already existing borehole, i.e. rehabilitation. In the case of a new borehole, the formation of the WuC takes place after a potential site has been identified, drilling done and borehole superstructure constructed and the water tested and found potable. This is because the WuC’s principally facilitate the maintenance of a water point. WuC’s cannot be formed when the water point does not exist yet (technical feasibility). The structures that already exist in the villages in many cases are VHT’s (Village Health and Sanitation Teams) which are government structures at parish level. They are usually two persons per village. ILF integrates these community members into relevant trainings. This is a single pilot project which is intended to demonstrate the benefits of the broader H2O Health Plus project benefits involving 250 water points. A team was sent to do an initial assessment in Palissa in April of 2012.This preliminary report was submitted to ILF. All of your responses on this page are very helpful, thank you! I am hoping there may be ways we can work together on some future projects. Your "rig" seems more cost effective and I am wondering if you would be willing to do price comparisons with the contractor we are currently using so we could either use your organization/rig or negotiate more effectively with our current contractor in Uganda. Thank you for your positive feedback. While we are cost effective, it is in part due to the fact that we are tax exempt and therefore would not be able to fairly participate in price negotiations for your projects in Uganda against local contractors. Depending on both of our needs and availability we would be happy to discuss a possible partnership in the future. Thank you for your question. The type of pump we will be using is called the Indian Mark II. ILF has just engaged a US trained hydrogeologist to conduct the geological needs assessment, with ILF covering the cost. The type of pump we will be using is called the Indian Mark II. ILF has just engaged a US trained hydrogeologist to conduct the geological needs assessment, with ILF covering the cost. The way i see this is as a pilot not only regarding the activity but also regarding all the partners and their roles. The need is clear and this collection of partners has the experience and skills, but the working together in the field and back at the offices may affect the implementation and all the various relationships. With that in mind, then its a go provided there is a serious commitment to document and communicate about activities, learnings, and adaptations. All of it, both the good and not good. The intent of the project is a great one! However, the application was short and did not provide enough detail. I remain with questions about the long term costs to the residents of the community. Overall I hope this project gets funded so that it can begin to improve the quality of life for the residents. This team is seasoned and has good relationships with all the stakeholders and a working knowledge of logistical planning, material procurement and maintenance/follow-up/M&E. I am still a little unclear about the CLTS program however. Otherwise, great. Water is always a need, so I would like to support the project. However, as parts of the proposal are quite vague and there were no responses to the questions posted, I would NOT support this project. -The lack of information in the last parts of the application. Is it that those aspects aren’t yet conceptualized, or did the applicant omit the answers because they felt these questions were addressed in the project description? -ILF’s structure, as it appears on their website, seems to distinctly lack community members, Ugandans, or even any native Africans. Who is working on the ground? Who is making the decisions? Recommendation: Fund if the organization can provide satisfactory answers for the information requested—particularly a response to the major concerns listed above.